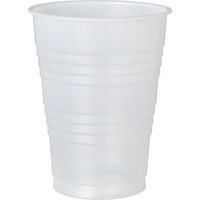 Solo Galaxy Plastic Cold s SCCY10PFTPK $40.39 This cold cup is a great economical alternative for plastic cups. Double sidewall ribbing adds cup strength, safety and convenience. Translucent design allows easy beverage identification. Rolled rim provides secure lid fit for leak resistance. Lids are not included.